The regions of North and South Holland feature some of the Netherland’s most famous cities — including the country’s capital, Amsterdam — as well as scenic coastlines. Don’t miss out on these areas if you’re looking for the perfect combination of historical landmarks, modern architecture, and vibrant nightlife. The best way to explore Amsterdam is by bike: with over 800,000 bicycles in the city, the Dutch capital has more bikes than people! While cycling around, be sure to stop off at Museum Square, for famous art exhibitions in the Rijksmuseum or the Van Gogh Museum, and the Jordaan District for independent galleries, restaurants, cafés, bars, and shops. If you’re more interested in history, be sure to visit Anne Frank’s House to see the secret annex where the Frank family lived for two years. Jordaan District is one of Amsterdam's most picturesque quarters. Need somewhere to buy souvenirs? You’ll be spoiled for choice in Amsterdam! For beautiful flowers, check out the Bloemenmarkt, or stroll around the Albert Cuypmarkt for local goods and produce from Indonesian immigrants. 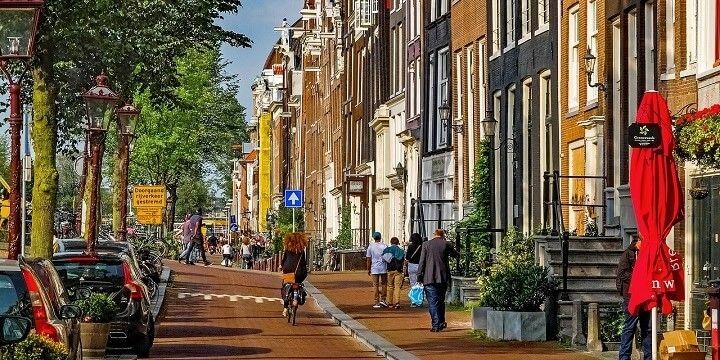 Alternatively, visit Nine Streets in the Jordaan District for independent boutiques, or the multitude of shops in the world-famous Red-Light District, which has far more to offer than just naked women! 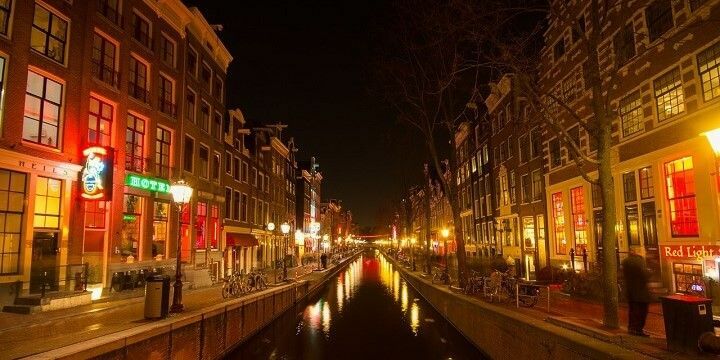 Amsterdam's world-famous Red-Light District has more to offer than naked women. Take a 15-minute train journey west of Amsterdam to reach Haarlem, home to the Grote Markt, the city square, which regularly hosts festivals and markets. The square is located at the foot of the huge Grote Kerk, a 14th-century cathedral with an impressive gothic interior. 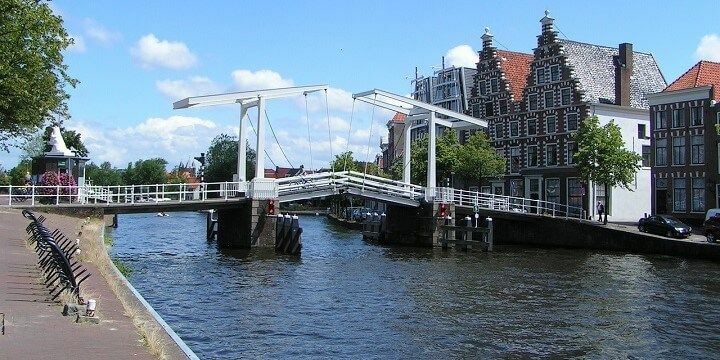 Haarlem is located just 15 minutes out of Amsterdam. Shopaholics will love de Gouden Straatjes, the city’s main shopping district, while beer-lovers will enjoy De Jopenkerk, a former church that is now a brewery, where you can taste the city’s famous Jopen Beer. Alternatively, find one of Haarlem’s 21 hofjes (hidden courtyards). These beautiful green spaces date back to medieval times, and can be found tucked away behind cobbled streets. The city of Haarlem dates back to the medieval times. 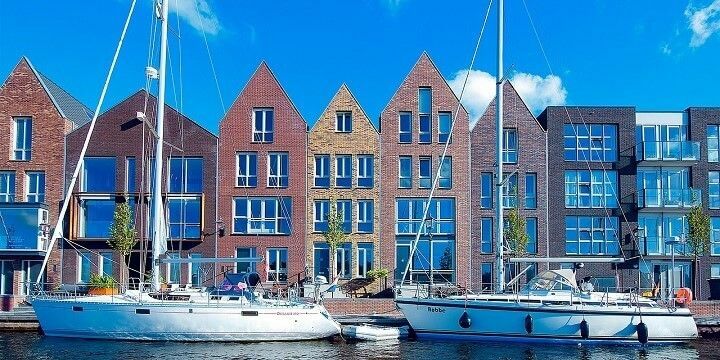 Travel down to the region of South Holland to find the coastal city of the Hague. Check out its popular seaside resort, Scheveningen, for picturesque walks and lively restaurants, bars, and nightclubs. 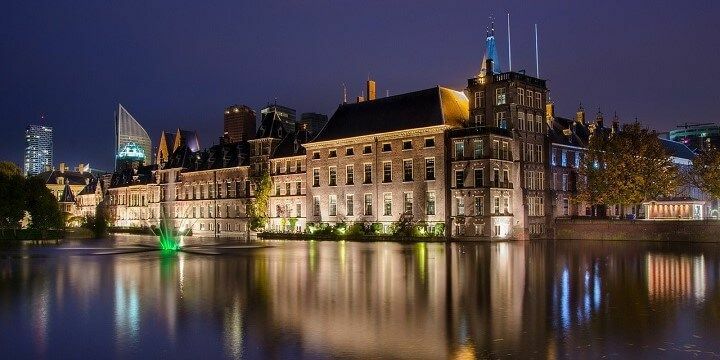 Head a little further inland to find the Peace Palace, the Hague’s most-photographed building, which houses the International Court of Justice and Permanent Court of Arbitration. The Hague's Binnenhof features many iconic buildings. More iconic buildings can be found in the Hague’s Binnenhof. Take a tour to see important landmarks, such as the House of Representatives, and the Torentje (the Prime Minister’s Office). Not visiting Hague but still want to go to the seaside? 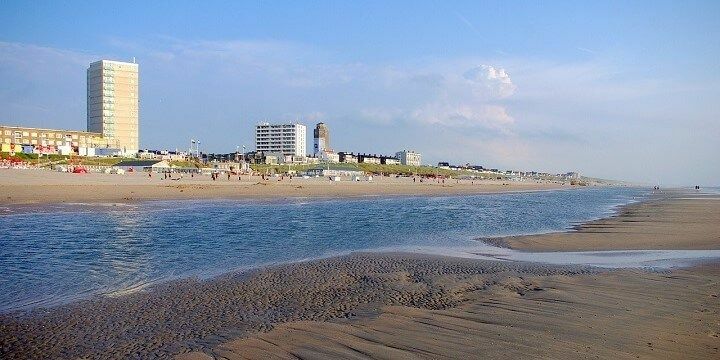 The two beaches of Zandvoort and Bloemendaal are easily reachable from Amsterdam. The former offers fun for all the family, with beautiful sand dunes, motorsports facilities, and surrounding parks with gorgeous flora and fauna. Zandvoort is a great beach for families. Bloemendaal, meanwhile, is the Netherlands’ version of Ibiza, and comes alive after dark with beach parties and nightclubs. 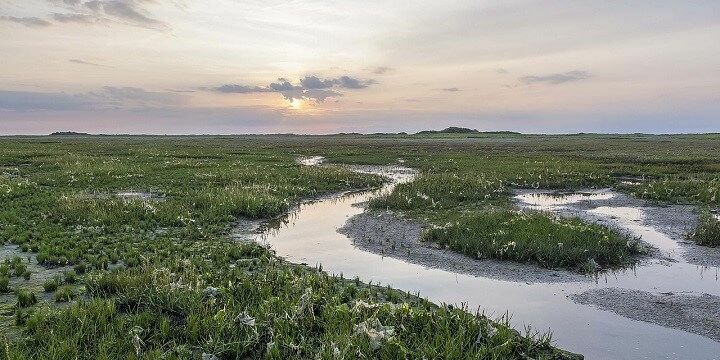 The five Dutch Wadden Sea Islands of Schiermonnikoog, Ameland, Terschelling, Vlieland, and Texel are located just north of North Holland. Each island is home to natural beauty and stunning beaches, making them great destinations for those seeking relaxation. Cars are banned on the island of Schiermonnikoog. If you want real peace and quiet, head to Vlieland or Schiermonnikoog, where cars are completely banned! It’s easy to hop from one island to the other via ferry, meaning you can explore multiple islands in just one day. Rotterdam is located to the Southwest of the Hague and is home to a huge range of impressive sights, such as the Euromast Tower. At over 180 meters tall, this is one of the highest buildings in the Netherlands. 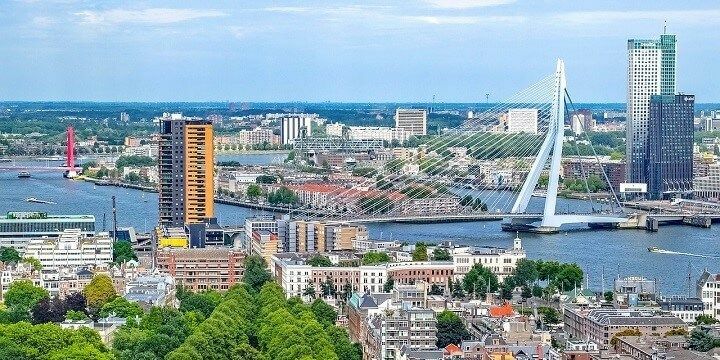 The tower offers unbeatable panoramic views of Rotterdam’s landmarks, including the Church of Saint Laurence, which stands out from the rest of Rotterdam’s modern architecture. Built in the mid-15th century, this church has a spectacular interior, featuring decorated arches and high ceilings. Rotterdam is a modern metropole. Need to recover after exploring Rotterdam? Head to Markthal for a great combination of restaurants, bars, and shops, or Fenix Food Factory, to take part in food workshops and tastings. Although you won’t run out of things to do in North and South Holland’s cities, you might fancy a couple of relaxing days in their suburbs. 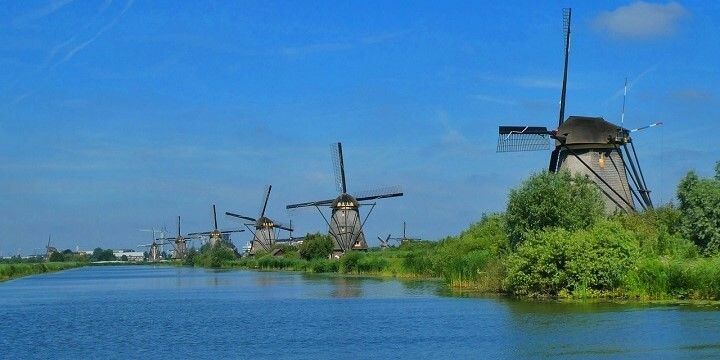 If you’re staying in Rotterdam, be sure to take a short easterly journey to Kinderdijk, famous for its 19 windmills. Kinderdijk is famous for its 19 windmills. These structures date back to the 18th century, and can be explored by a walking tour or boat trip. For more classically Dutch scenes, check out the colorful tulip fields of Lisse, located between Amsterdam and the Hague. Alternatively, head to the small, picture-perfect town of Zaanse Schans, full of quaint windmills, Dutch houses, and even a clog workshop, where you can make your own clogs. If NextStop24 helped you to choose your next travel destination, we'd be very grateful if you’d search for your accommodation and things to do in Holland through these links. They're affiliate links, which means that we will receive a small commission for every booking made through them. There are no extra costs for you; you'll simply be helping to keep NextStop24 running. Thanks! Delfts, Located in the south Holland, Netherlands. A small canal rigged city just outside Amsterdam. Home to the famous pottery ceramic Delft blue. Johannes Vermeer (painter)was born here.William Orange had a close ties to this city, he Had a house here. Amsterdam was a really wonderful city. While we were there, it was raining for most of our trip but we still had a ton of fun wandering around the city, looking at the buildings, enjoying the food, and taking in a few museums. Holland is full of fun things to do, no matter if you're looking for an exciting city or a quiet getaway.